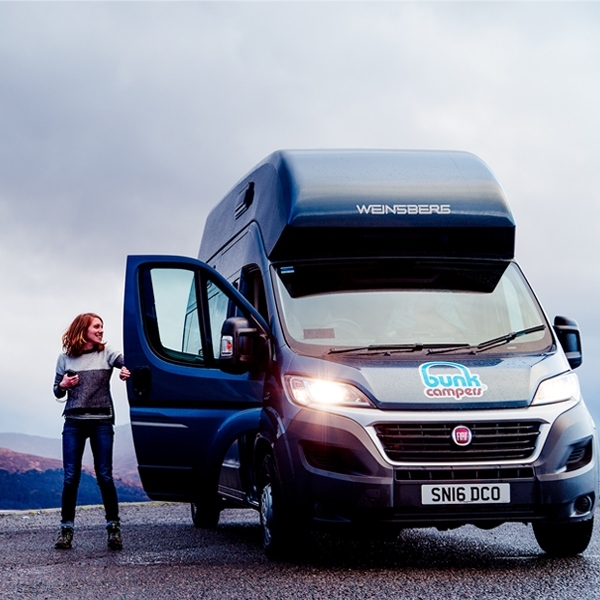 Bunk Campers, Scotland's largest campervan rental company offer affordable and stylish campervans and motorhomes for hire. 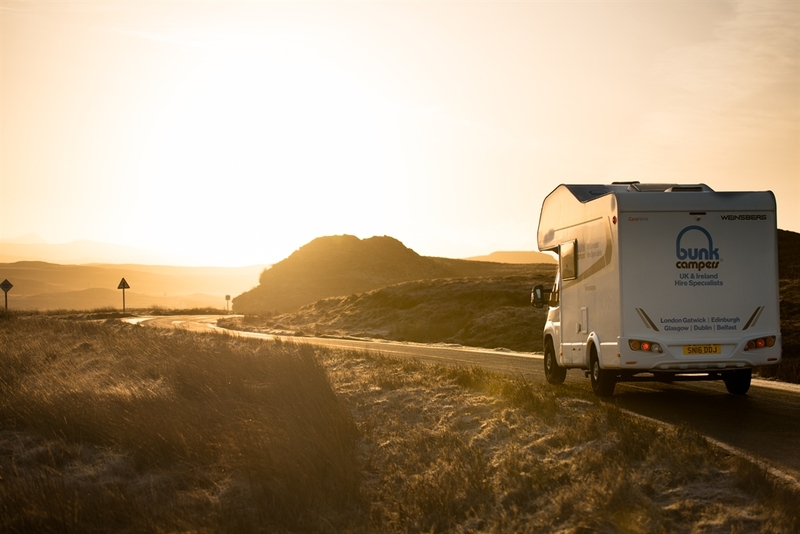 Choose from our wide range of vehicle types – from budget 2 person campers, VW campervans to luxury motorhomes for up to 6 people, there is something to suit everyone. Our Scotland depot is open 7 days a week and is located close to Edinburgh airport, making it easy and convenient to get on the road in Scotland. All of our modern vehicles are less than 2 years old and come equipped with everything you need to get on the road in Scotland. On board heating makes our vehicles suitable for even the cooler winter months. 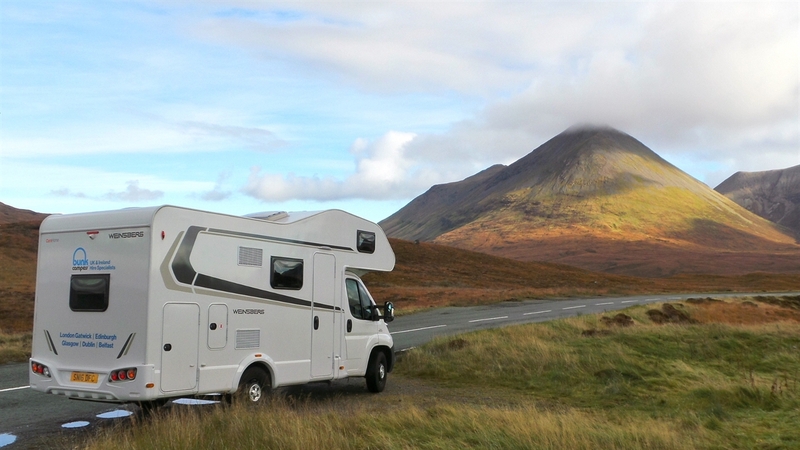 Hire a campervan or motorhome from Bunk Campers and discover the amazing North Coast 500, the Highlands and islands or the famous Scottish Whisky trail. 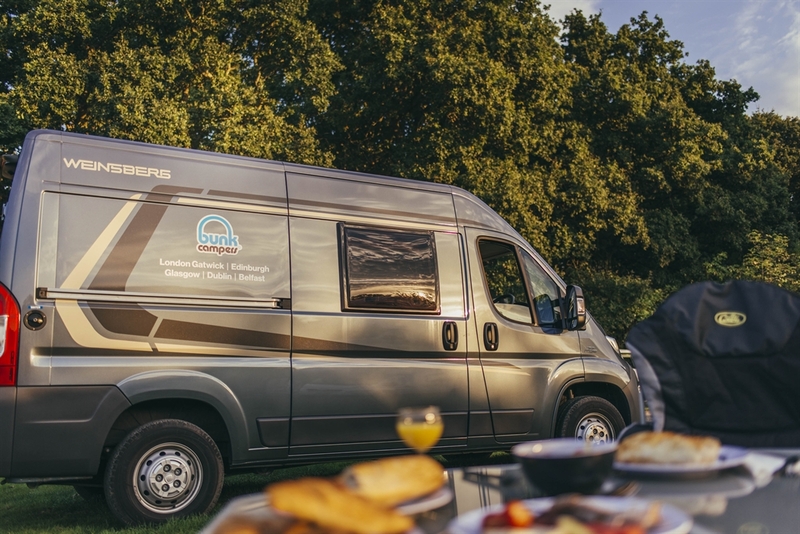 With your transport and accommodation in one, you can tour from coast to castle in your camper – stopping, shopping and cooking along the way. 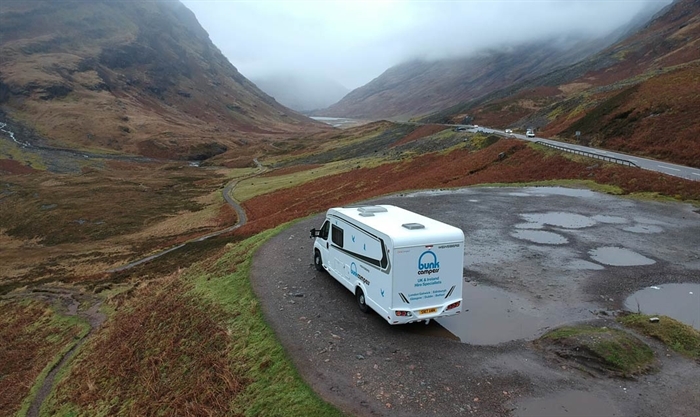 Bunk Campers 'Roadie' is the ultimate road trip vehicle, perfect for 2 people wanting to discover Scotland on a budget in low season! 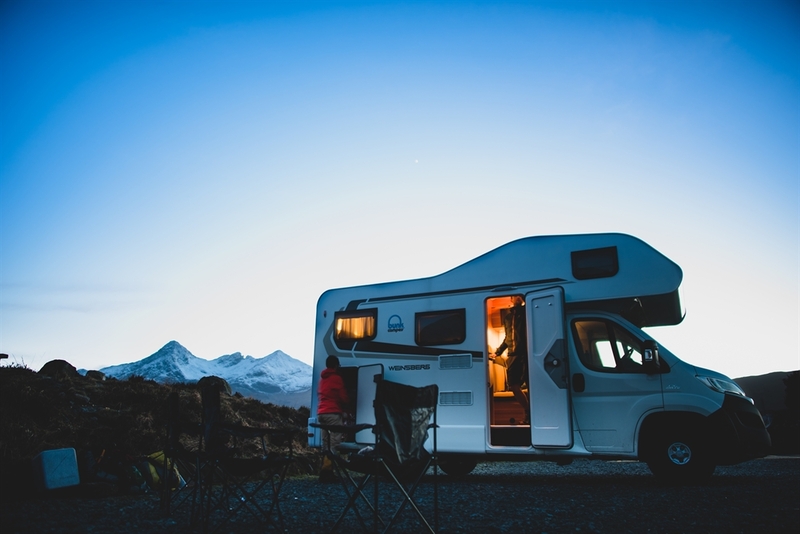 Experience all the perks of car hire with the added benefit of a fully equipped home on wheels, including; double bed, gas hob for cooking, cool box, sink, heating and electricity - your transport and accommodation in one! Our depot is conveniently located close to Edinburgh Airport. Bunk Campers have 9 different campervan and motorhome models to suit all tastes and budgets. Book now from only £45 per day. 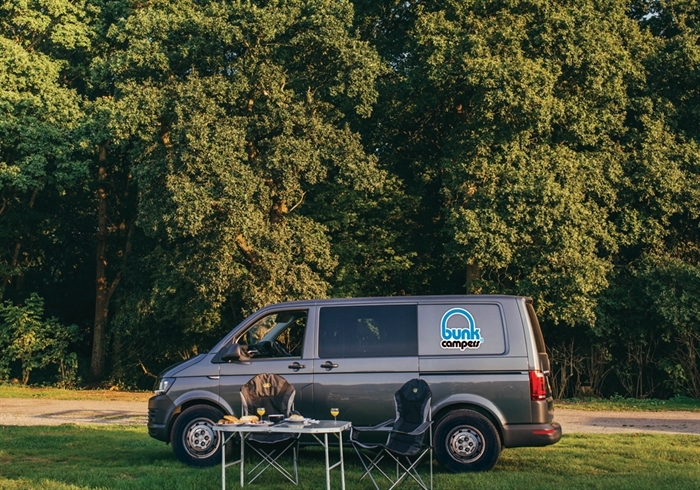 Save 10% on May & June Campervan Hire! Do you dream of touring Scotland? Discover breath-taking scenery, medieval castles & awe-inspiring coastline with campervan hire from Bunk Campers - your transport & accommodation in one! 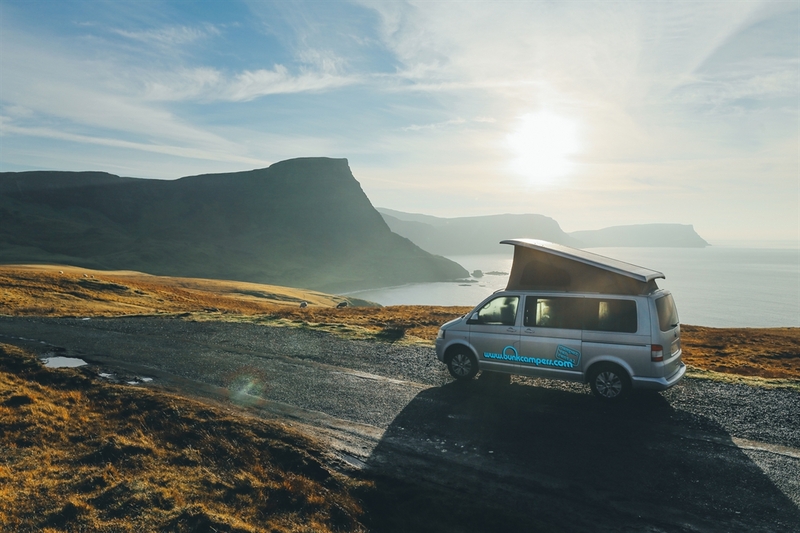 Save 10% when you book May & June Campervan Hire before 30th April 2019!